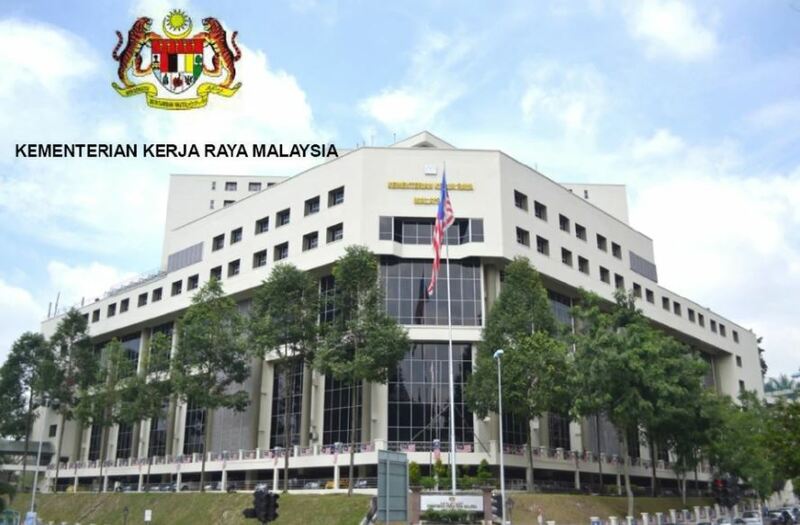 Kementeriaan Kerja Raya (KKR) is located at Jalan Sultan Salahuddin, Kuala Lumpur opposite the new JKR building office. Also called the Ministry of Works, the buildings designated as Block A and Block B houses the Minister and Deputy Ministers of works and their staff. In 2017, as part of the government initiative to reduce energy consumption and to upgrade older government assets, a tender was issued by to upgrade all lighting in Block A and Block B to LED lighting. The initiative was funded by the government through KeTTHa, the Ministry of Energy, Green Technology and Water, audited by the Energy Commission (ST). The project was facilitated by the Department of Works (JKR) with the specifications and requirements provided by the Electrical Department in JKR. 10,000 lighting points was upgraded to LED. The challenge was to create a multiple lumen output product not controlled by a centralised dimming system. Each light must have individual controls and are able to manual operated by the tenants. The other concern was that the lighting products must be easily removable without tools but yet made to be used only for the fittings in KKR. Finally JKR understood that this custom made products will require certifications to be run concurrently while delivery and installation was proceeding. The initial mock up and testing created the baseline for the brightness of the product at multiple areas ie: factory setting. Post-installation the maintenance team assisted the tenants in either increasing the brightness or reducing it. We are heartened to see the efforts and government initiatives in going green and conserving energy. We wish to congratulate KKR and JKR for the successful implementation of LED lighting in this project. 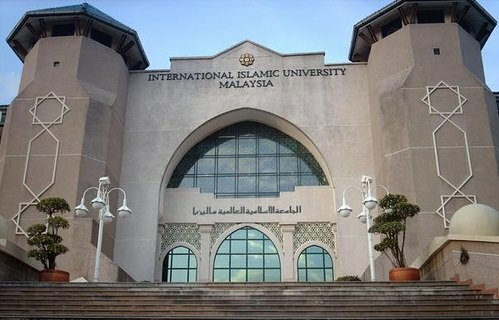 International Islamic University Malaysia (IIUM) main campus is at Gombak Kuala Lumpur which houses are 8 faculties. Under a performance contract, the traditional lighting was upgraded to LED lighting. The clients planned to apply energy saving methods in the university. The scope of the work was to manufacture & install the T8 LED tube lights in the university. For this project, the T8 LED tube light to replace was 42,000 units. The clients gave four months to complete this lighting project. The challenge was to store the product on site. The solution is to store 2 shipments of LED tube lights in a 40 feet container. Another challenge at that time was to install during and around working hours which classes, offices and the library was occupied. Access to some area was restricted to Saturdays. All installation work was done with the presence from the clients and the maintenance team. Every day, documentation was updated to identify the quantity installed and the locations. Every single tube was identified by zone and serial number. Apart from some site delay, difficulty to access some areas, the project was completed in good time. The targets have been achieved, and IIUM experienced significant reduction in energy and maintenance cost. The impact of the change is clearly noticeable, with improvement of in all areas of illumination. The maintenance costs have been reduced as a result of the modernization, and IIUM took a significant step to be environmentally friendly. The setting of this project was a 230m by 60m golf driving range. The lighting at that point of time used 24 units of 1000 watts metal halide on two 15 meter poles. The conventional lighting faced constant maintenance issue due to the age of the lamp. Brightness was failing and the users were complaining. 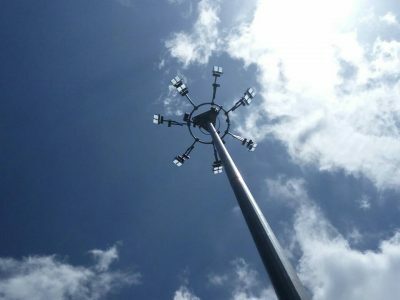 Furthermore the cost of replacements and maintenance was relatively high due to the need of sky lift to access the lights. The general requirement of golf driving ranges are 40 lux reflection on the ball on a vertical plane of axis and good surge protection. 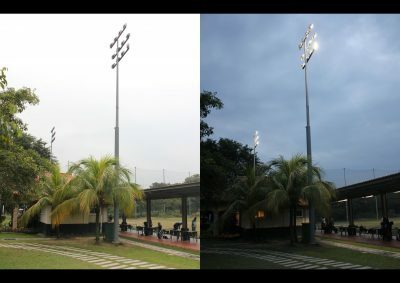 The solution was 24 units of 400 watts Advanled Hi-Mast lighting at a narrow beam with the most suitable layout and tilt to allow for even lighting and negligible wastage of light on the vertical plane of at least 20 meters. Double surge protection was applied on the lamp and the pole. Simulations was done on the spot with the client so that a decision could be made immediately and so that products are manufactured as soon as possible to resume normal operations. The result was easily recognised by owners and the users as a marked improvement on the lighting performance. Expected ROI from savings and usage was 1.5 years. Expected lifetime based on usage is 15 years. The client for this project is a major shopping mall in Kuala Lumpur city. The building is made of 9 stories of selling space and 3 stories of underground car park. Several initiatives were made by their management team to apply energy-saving and Eco-friendly methods to their operations. One of them being lighting enhancements. The challenge in this project was that the client planned to renovate their building, and in turn the lighting, floor by floor annually. However, LED technology at that time was highly volatile with efficiency and costing upgrades every 6 months which will lead to difficulty maintaining the outlook and consistency of the product from the first floor to the last. Secondly, a very short time is provided for the design confirmation to delivery stage with limited storage space, which leads to very short lead time and staggered delivery schedule. Furthermore, the lighting requirements which was based on an interior designer from the USA, was not readily available in the market at that time. Therefore, the supplier had to be preferably local, with a high understanding of the changes of LED products, long term reliability, specialisation in customisation and an ability to supply products that would last until the final renovation and beyond. Since 2012, Sogo have changed 7 stories of selling space, and have relied on AdvanLED products to ease their maintenance, design and delivery concerns. 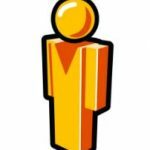 AdvanLED has enjoyed a healthy relationship as a designer, supplier and consultant with after services such as lux maintenance review exercises and miscellaneous product support.